I enjoy painting in my own environment the things that I am familiar with and like. I feel pure enjoyment when interpreting the objects I see around me every day, the way light plays on white, the contrasting red of an apple, how light filters through glass. Helen Parsons Shepherd was an accomplished Newfoundland artist, renowned for her portraits and still-life paintings. She was born in St. John's in 1923. Her father was the poet R.A. Parsons, and her brother was the painter Paul Parsons. Parsons Shepherd displayed an early interest in portraiture and regularly sketched the visitors to her home. As an adult, she studied at the Memorial University of Newfoundland for one year, spent four months at a nursing school in Montreal, and then one year clerking for her father's law office. In 1944, she was accepted into the Ontario College of Art (OCA), where she was influenced by the Canadian portrait painter John Alfsen. She graduated with a Bachelor of Fine Arts with Honours in 1948. That same year, she married Reginald Shepherd, a fellow OCA student. After Shepherd graduated in 1949, the pair moved to St. John's and co-founded the Newfoundland Academy of Art (NAA), the first art school in the province. Parsons Shepherd was an art instructor at NAA from 1949-61. She also taught art at four St. John's convents and practiced her studio work. After the Shepherds closed the NAA in 1961, Parsons Shepherd had more time to work on her acclaimed commissioned portraits, which were booked as much as two years in advance. She painted numerous portraits of public officials and prominent members of the community, including the speakers of the House of Assembly, mayors of St. John's, and presidents of the Memorial University of Newfoundland. In 1976, she was commissioned to paint His Royal Highness, Prince Philip, and in 1984 did the official portraits of Governor General and Mrs. Edward Schreyer. 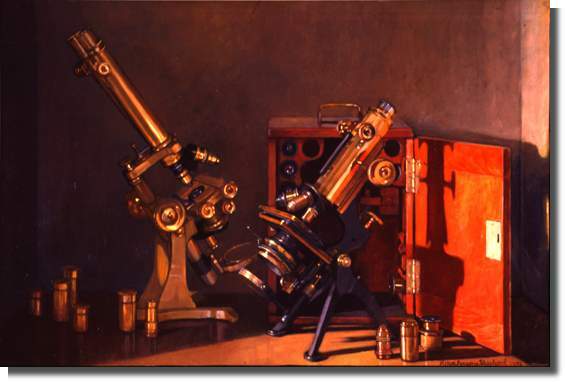 She was also noted for her still-life paintings and for her paintings of everyday scenes and objects. 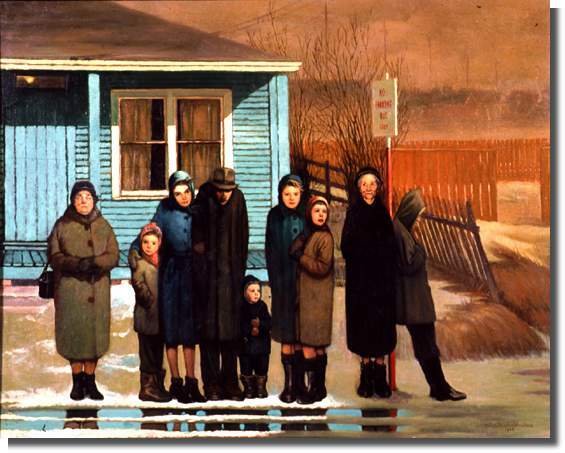 Some of her most well-known works include Spring in Newfoundland (also known as Bus Stop), which depicts a row of people waiting at a bus stop in gloomy weather, and Boots, inspired by the way sunlight fell across two pairs of black rubber boots. Parsons Shepherd was elected to the Royal Canadian Academy of Art in 1978 and she received an honourary doctorate from the Memorial University of Newfoundland in 1988. Her work has been shown in many group and solo exhibitions. The Memorial University Art Gallery (now The Rooms Provincial Art Gallery) organized a solo exhibition of her work in 1975, which later toured Canada. The provincial gallery also held two major retrospectives of Parsons Shepherd and her husband, the first in 1989, called Four Decades, and the second in 2005-06, called Reginald and Helen Shepherd: A Retrospective. Their work was also the subject of the 2005 book, Reginald Shepherd, Helen Parsons Shepherd: A Life Composed, edited by Ronald Rompkey. In addition to The Rooms Provincial Art Gallery's Permanent Collection, her artwork is part of private and public collections including that of the Beaverbrook Art Gallery in Fredericton, New Brunswick; the Government of Newfoundland and Labrador; and the Power Corporation in Montreal, Quebec. Parsons Shepherd worked on her art in St. John's during the winter and at Clarke's Beach, Conception Bay during the summer. She died in 2008 at the age of 85.